A new generation of VR tech has the potential to transform education all over the world – what role could it play in your classroom? Virtual reality technology has finally reached the point where it is mobile, powerful and user-friendly enough to create a stunning and immersive experience. Delivered via headset, or mobile phone screen (with attached viewing accessory), VR is making interesting inroads into recreational and professional environments – but its potential for education remains one of its most exciting applications. The relative novelty of virtual reality technology means its educational applications are still being explored – but many students and teachers are already using it widely. At St. George’s school in Edinburgh, for example, students use VR in classes ranging from science and technology, to humanities and the arts but, while the technology is changing the way students learn, it is also creating a new culture, in which innovation and possibility become a part of the curriculum. Visual possibilities: The capability of VR tech to create visually immersive 3D environments offers a new medium for teachers to present lessons to their students. In VR, students may access, explore, or interact with places, people, concepts, and things, in previously inconceivable ways, and in unprecedented detail. A VR lesson might involve a journey across the solar system, a tour of a medieval castle, or an examination of the human brain. 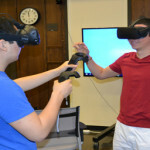 Virtual equipment: Virtual reality has the potential to render physical tools, equipment and instruments, digitally – and place them in the hands of students instantly, at no cost. 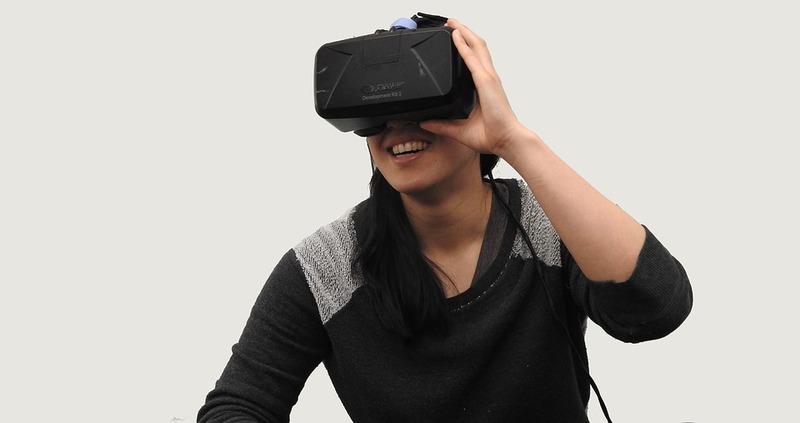 While the capability of the software and hardware is a factor, in theory students may be able to learn musical instruments in VR environments, create virtual paintings, use specialised equipment, or simply access digital versions of textbooks or other limited educational material. 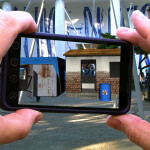 Augmented reality: Access to VR technology doesn’t mean old-fashioned teaching takes a back-seat, nor does it have to take place within a fully-rendered, virtual environment. 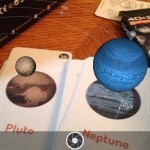 ‘Augmented reality’ will allow teachers to drop digitally-rendered VR elements, information, and graphics (visible through a VR headset), into the real world – to support lessons and aid teaching. Disadvantaged students: VR experiences are delivered via a headset so almost every student can participate in lessons which utilise it. Practically, this means disabled students or those who don’t do well in conventional teaching environments will be able to participate in lessons to the same extent as everyone else. Remote education: Students with mobility issues, or students in remote and isolated locations also stand to benefit from VR, which has the potential to transcend geographical limitations and bring the classroom to them. By creating a ‘virtual’ classroom space, previously hard-to-reach student groups will have a new level of access to both teachers and resources. Virtual travel: Field trips and travel to special events is often unfeasible for students and schools due to financial or logistical reasons. While it can’t comprehensively replicate the experience of ‘being there’, VR does offer opportunities to take ‘virtual field trips’, exploring and interacting with otherwise inaccessible locations, in settings across the world. Interaction opportunities: In the same way that it offers travel opportunities, VR also has the potential to connect students to educators and speakers in different parts of the world, and give them access to information and knowledge unavailable in the local classroom. In theory, students will be able sit in on lectures, converse with authors and scientists, or even try their language skills out on native speakers. Technological aptitude: VR represents a paradigm shift for the educational possibilities of technology. Beyond its practical classroom impact, students learning in virtual reality, and using its associated paraphernalia, will become acclimatized to a new, innovative culture – and be ready to embrace the possibilities of similar, emergent technologies as they are presented. Professional experiences: Students using VR may be able to gain new insights into the working world by seeing and experiencing aspects of a spectrum of careers and jobs. While not a replacement for conventional, ‘real life’ work experience, VR could help students find out more about the professional landscape, focus their career ambitions, and even help them select an academic path to reach them. Creative potential: More than simply a digital version of the classroom, VR promises to expand the ways students think and express themselves. In a virtual environment, creative projects are limited only by students’’ imaginations, while problems and challenges are opened up to a variety of novel approaches and solutions. Essentially, VR can feed students’ natural curiosity and creativity – and help them discover new ways to engage with the world, and the people, around them. Gordon Lamont brings a decade of professional engineering experience, on a variety of high profile projects, to his role as Coordinator for Design and Technology at St George’s School for Girls - a private school in Edinburgh. An educator now for over 14 years, Gordon aims to pass on his skills and expertise to new generations of talented engineers. Your blog is very informational! The teaching tools and the education development effects are very well explained. Education accessibility gives awareness to all… Superb! Great insight!